Klitgård, B.B. (2009). Neotropical Apiaceae. Usually herbs, less often shrubs, creepers, tuberous or cushion forming plants, rarely trees. Leaves alternate , rarely opposite, simple or compound , often large, the petiole commonly forming a basal sheath , leaf blades often pinnately or palmately dissected ; stipules rarely present. Inflorescences axillary or terminal , usually in umbels, less commonly in compound or simple heads; involucre (= congested bracts) often present at the base of the umbels, involucels (= congested bracteoles) common below the umbellets. Flowers often hermaphroditic, if unisexual then often andromonecious, 5- merous , actinomorphic ; sepals often reduced (though prominent in Eryngium), frequently only apical teeth of sepals apparent; petals usually white, yellow, less commonly blue or reddish purple; stamens 5, alternipetalous; ovary syncarpous, hypogynous, the 2 carpels with 2 locules and the 2 styles may be swollen into a nectar secreting stylopodium. Fruit a dry schizocarp , usually compressed or flattened, less often globose or cylindrical, mericarps 2, with 5-10 ribs, these obscure , threadlike or promimently extended into wings or prickles ; seeds usually 2 (1 per mericarp ), rarely 1, the surface flat, variously concave or grooved. Arracacia Bancr. : (30-55 species) Mexico and Central America the northern Andes to Bolivia. Azorella Lam. : (20-26 species) Costa Rica along the Andes to temperate South America. Bolax Comm. ex Juss. : (4-5 species) temperate South America. Bowlesia Ruiz & Pav. : (15 species) in temperate to tropical South America. Centella L.: (20 species) mostly South Africa, but C. asiatica and its closest relatives are pantropical. Coaxana J.M.Coult. & Rose: (2 species) Mexico. 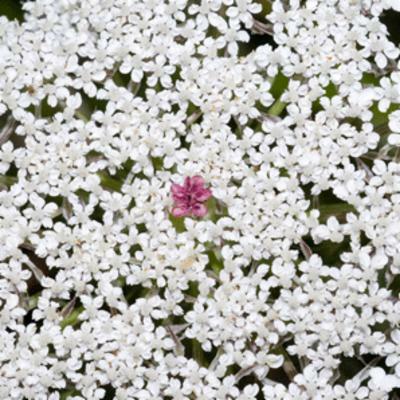 Conium L.: (3 species) temperate Eurasia. 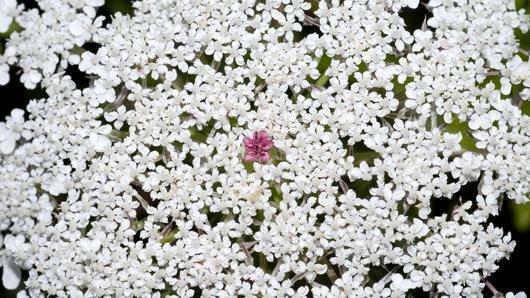 Conium maculatum L. widely naturalized. Coriandrum L.: (3 species) SW Asia. Coriandrum sativum L. widely cultivated. Cotopaxia Mathias & Constance: (1 species) endemic to the high Andes of Ecuador. Coulterophytum B.L.Rob. : (5 species) Mexico. Dahliaphyllum Constance & Breedlove: (1 species) Mexico. 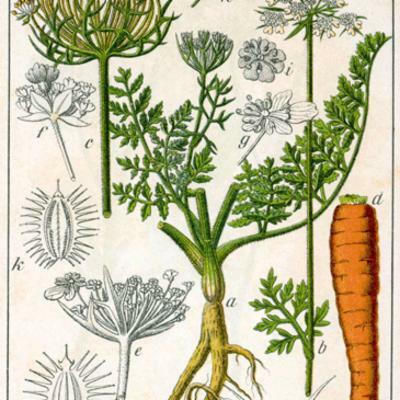 Daucus L.: (c. 20 species) almost worldwide, centrered in the Mediterranean, few species in temperate and tropical America. Donnellsmithia J.M.Coult. & Rose: (15-20 species) Mexico and Central America. Enantiophylla J.M.Coult. & Rose: (1 species) Central America. Eremocharis Phil. : (9 species) Chile and Peru. Eryngium L.: (c. 250 species) temperate and tropical worldwide, except Africa. Foeniculum Mill. 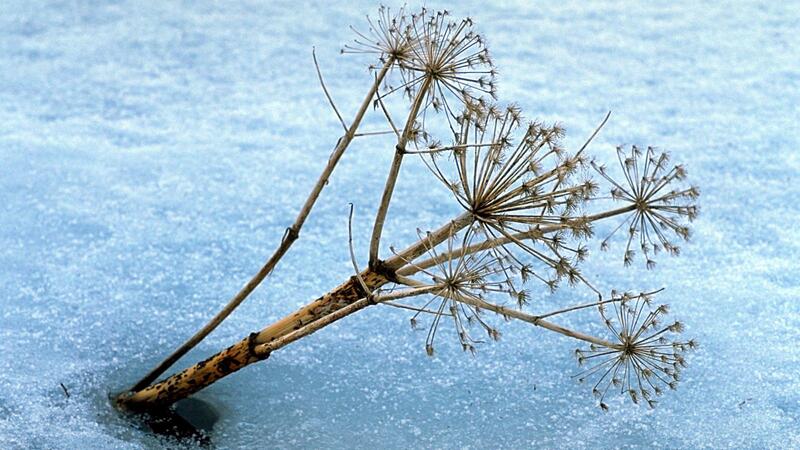 : (4-5 species) temperate Old world, but F. vulgare L. (fennel) cultivated worldwide. Gymnophyton Clos: (6 species) Andes of Chile and Argentina. Huanaca Cav. : (4 species) southern Argentina and Chile. Klotzschia Cham. : (3 species) Brazil. Lilaeopsis Greene: (14-20 species) North and South America, New Zealand and Australia. Mathiasella Constance & Hitchc. : (1 species) Mexico. Mulinum Pers. : (20 species) Andes. Myrrhidendron J.M.Coult. & Rose: (5 species) Central America and northern Andes to Ecuador. Neonelsonia J.M.Coult. & Rose: (2 species) Mexico to southern Andes. Niphogeton Schltdl. : (18 species) northern Andes. Oreomyrrhis Endl. : (23 species) Asia, Australia, Central and South America. Ottoa Kunth: (1 species) Mexico. Pastinaca L.: (14 species) temperate Eurasia, but P. sativa L. (parsnip) introduced. Prionosciadium S. Watson: (8 species) Mexico. Sanicula L.: (c. 40 species) almost cosmopolitan. Spananthe Jacq. : (1 species) Andes. Tauschia Schltdl. : (31 species) SW North America to southern South America. Usually herbs, (vs. usually shrubs and trees in Araliaceae). The leaves usually lack stipules (vs. usually present). The fruit a dry schizocarp with 2 mericarps (vs. a berry-like drupe). Predominantly herbs with pinnately or palmately dissected leaves. Inflorescences usually in umbels, less often in heads. Flowers with 5 sepals, petals and stamens. Inferior ovary with 2 carpels. Fruits are schizocarps with 2 mericarps. Myrrhidendron: the most tree -like genus in the Neotropics, but species of Arracacia, Coaxana, Coulterophytum, Enantiophylla, Neonelsonia, Prionosciadium, Mathiasella and Dahliaphyllum also contain secondary (woody) tissue. Azorella: species form densely tufted cushion plants. Lilaeopsis: the 14-20 species are morphologically similar and occur in aquatic sites of the Americas, New Zealand and Australia. Approximately 50 genera represented in the Neotropics. 60% of Azorelloideae are in South America where they form an important component of the southern temperate zones. The family is the source of many important herbs and spices (e.g. 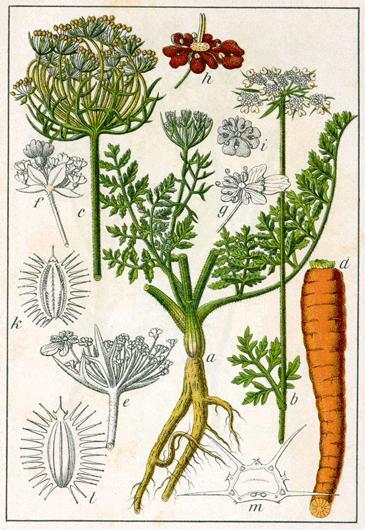 parsley, fennel, dill, coriander, cumin, caraway, and anise), as well as several vegetable crops (e.g. carrots, parsnips, and celery). Most of these originated in the Mediterranean, but are cultivated worldwide. Eryngium foetidum L. is native to the Neotropics, and used as a substitute for coriander. 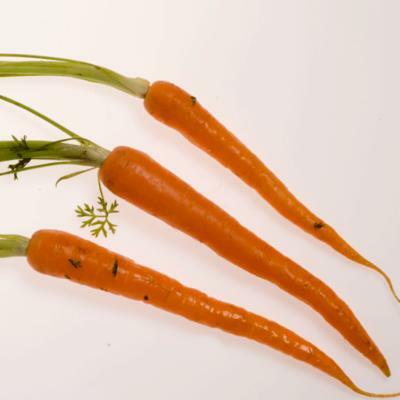 Arracacia are perennial herbs from taproots or tubers, and include numerous forms of the cultivated root -vegetable A. xanthothorrhiza Bancr. (Arracacha, apio, Peruvian parsnip). 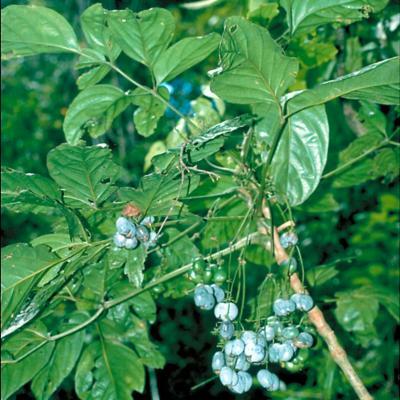 Coniummaculatum L. is deadly poisonous and widely naturalized. Native, cultivated, naturalized and endemic taxa are found. Members of the Apicaceae are both similar and closely related to members of the Araliaceae. The borders between the two families have long been blurred, but recent transfers of genera between the two families are supported by molecular data (e.g. Plunkett et al. 2004; Andersson et al. 2006) - e.g. the trasfer of Hydrocotyle L. from Apiaceae to Araliaceae, and of genera around Mackinlaya F.Muell. from Araliaceae to Apiaceae has created some stability. Andersson, L., Kocsis, M., & Eriksson, R. 2006. Relationships of the genus Azorella (Apiaceae) and other hydrocotyloids inferred from sequence variation in three plastid markers. Taxon 55: 270-280. Downie, S. R., Katz-Downie, D. S., & Watson, M. F. 2000. 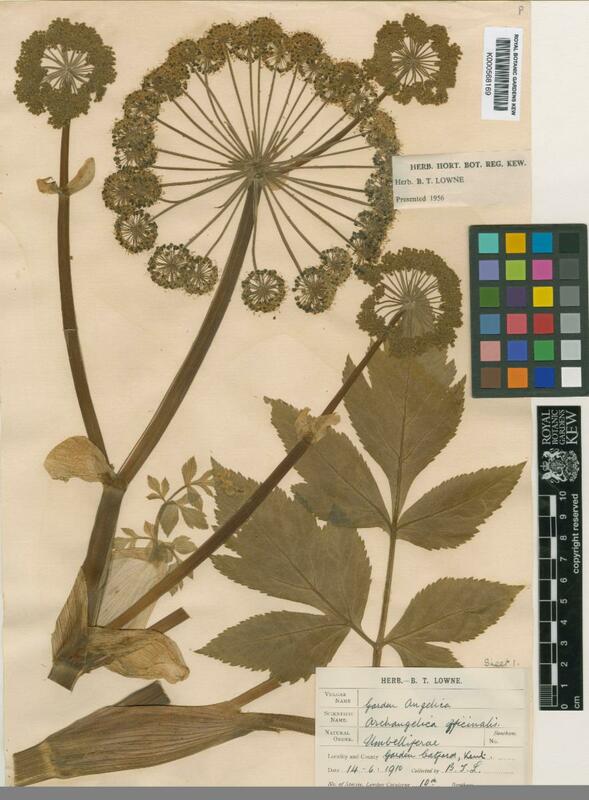 A phylogeny of the flowering plant family Apiaceae based on chloroplast rpl16 and rpoC1 sequences: Towards a suprageneric classification of subfamily Apioideae. American J. Bot. 87: 273-292. Maas, P. J. M. & Westra, L. Y. Th. 2005. Neotropical Plant Families. 3rd ed. Pp. 296. A.R.G. Gantner Verlag K.G., Ruggell. Mathias, M. E. & Constance, L. 1976. 145. 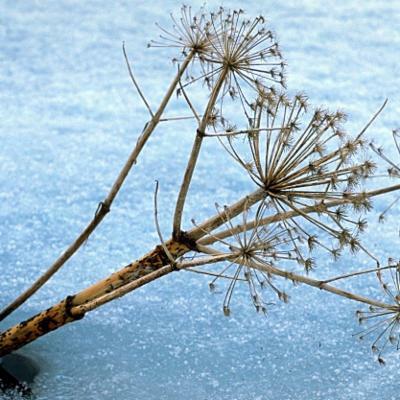 Umbelliferae. Flora of Ecuador vol. (Eds. G. Harling & B. Sparre), 71 pp. Department of Systematic Botany, University of Göteborg. Berlingska Boktryckriet, Lund. Plunkett, G. M., Soltis, D. E., & Soltis, P. S. 1997. 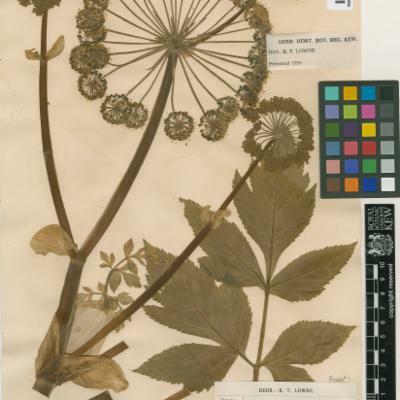 Clarification of the relationship between Apiaceae and Araliaceae based on matK and rbcL sequence data. American J. Bot. 84: 565-580. Plunkett, G. M., Wen, J., & Lowry P. P. II. 2004. Infrafamilial classifications and characters in Araliaceae: Insights from the phylogenetic analysis of nuclear (ITS) and plastid (trnL-trnF) sequence data. Plant Syst. Evol. 245: 1-39. Plunkett, G. M., Chandler, G. T., Lowry, P. P. II, Pinney, S. M., & Sprenkle, T. S. 2004b. Recent advances in understanding Apiales and a revised classification. South African J. Bot. 70: 371-381. Stevens, P. F. (2001 onwards). Angiosperm Phylogeny Website. Version 9, June 2008.